How did life arise from inorganic molecules? Did it develop in an early Earth primordial soup or was there an extraterrestrial source? Although the answer to the origin of sentient life has yet to be discovered by scientists, the origins of the genetic blueprints for life (e.g. RNA), the workhorses of life (e.g. 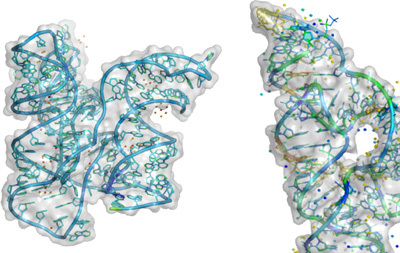 proteins), and the protective membranes for life (e.g. lipids) are rapidly being uncovered. But, making the basic building blocks is only the first step. The next steps involve converting those molecules into viable cells. 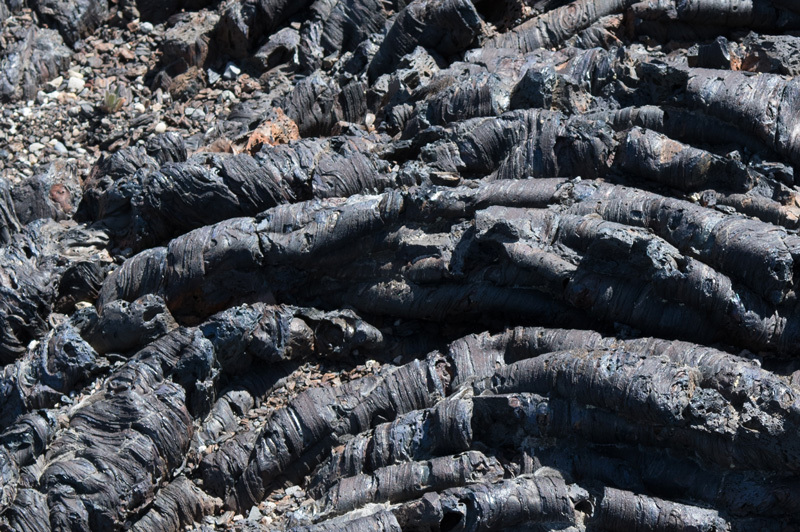 Believe it or not, geoscientists are needed to help uncover the answers to these questions because abiogenesis requires chemical, biological, and geological considerations. We hope the articles in this issue help introduce you to this exciting field of research. Volcanoes have played a large role over Earth’s history in building the crust, contributing to atmospheric formation, and transferring heat and mass from the interior to the surface. They are also capable of massive disruption of the surface environment and to human civilizations. Volcanoes themselves are the products of crustal-scale systems. But what controls whether a given magma will erupt or stall, and how do processes in one part of the system affect others? Volcano science is advancing rapidly, and improvements in monitoring tools, petrologic tools, and modeling of volcanic processes have greatly improved our understanding of volcanic behavior. This issue brings together contributions exploring volcanic behavior throughout the crustal system. 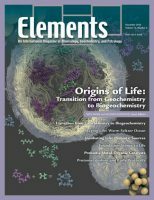 Paradigm-changing discoveries about stellar and planetary evolution, the survival of organic molecules and microorganisms under extreme conditions, and geochemical environments on early Earth and other planets are sparking a synergistic dialogue between geoscientists, chemists, and biologists to understand how life originated. To achieve this goal, we must (i) explain the non enzymatic synthesis of biologically relevant organic molecules under geologically plausible conditions; (ii) overcome the rigid conceptual dichotomy of the “RNA world” versus the “metabolism-first” hypotheses; and (iii) develop high-throughput analytical systems to sample the myriad possible combinations of environmental conditions to find those that could initiate life. 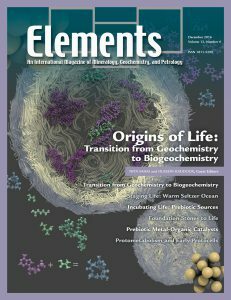 This issue of Elements highlight the roles of minerals and geochemical environments in the emergence of protocells, the cell-like entities that might have preceded the Last Universal Common Ancestor. The stage for the origin of life may have been set during a period that was as short as 20 million years within the first 100 million years after the formation of the Moon (at ~4.5 Ga). The atmosphere at that time contained more carbon dioxide than at any other period thereafter. Carbon dioxide sustained greenhouse conditions, accelerated the weathering of a primitive crust, and may have led to conditions conducive to forming the building blocks of life. The conversion of inorganic carbon and nitrogen to the essential building blocks of life may have been facilitated by clays, zeolites, sulfides, and metal alloys that had been formed as the crust reacted with a warm and carbonated (seltzer) ocean. Geochemical modeling constrains the conditions favorable for the formation of these potential mineral catalysts. The onset of life on Earth was preceded by prebiotic chemistry in which complex organic molecules were formed from simpler ones in the presence of energy sources. 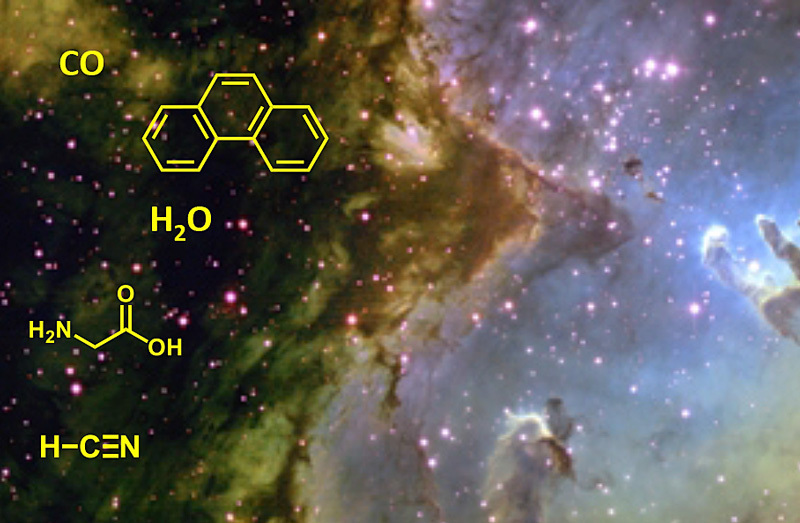 These prebiotic organics were either synthesized on Earth itself (endogenously) or synthesized extraterrestrially (exogenously) and then delivered to Earth. Organics have been detected in space and have been successfully synthesized under experimental conditions simulating both extraterrestrial environments and early Earth environments. 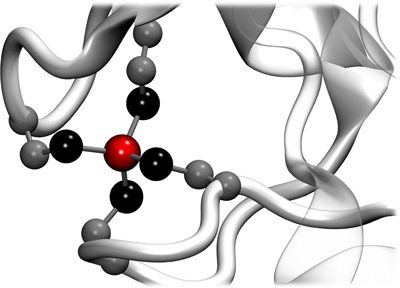 Homochirality and enantiomeric enrichment of organic molecules, which were once considered to be biosignatures, can, in fact, be achieved abiotically. 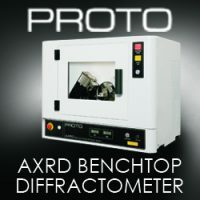 It is important to determine conditions that allow the formation of prebiotic organics and those that preserve them against degradation. Systems consisting of mineral surfaces, water, salts and organic molecules are considered to be plausible models of early Earth’s prebiotic environments. The probable involvement of clays, highly soluble minerals, sulfides and other minerals at the beginning of life have spurred a number of experimental studies to investigate organic molecule adsorption, polymerization and catalytic reactions of relevance to prebiotic chemistry. This article reviews current ideas in how life originated, summarises experimental results and presents some of the existing challenges that still beset the field of the origins of life. Life as we know it is completely dependent on metal ions. Gradients of metal ions drive metabolism, metal centers often form the active sites of enzymes, and metal-ion coordination is largely responsible for protein and RNA folding. 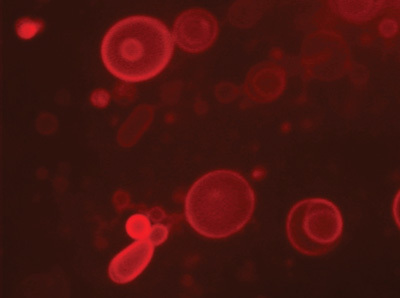 This dependence on metal ions likely reflects the environment from which cellular life emerged. However, long chain biological polymers were not present on prebiotic Earth. Therefore, the chemical reactions leading to Earth’s first cells must have made use of alternative catalysts that were later superseded by RNA and protein. 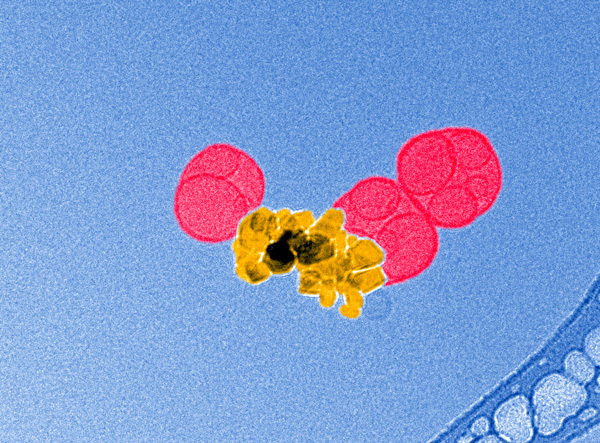 Here, we discuss the similarities between free metal ions, minerals, and biological enzyme catalysts, and how cellular life could have exploited prebiotic metallocomplexes.